Annual EMS For Children Class – First Responders Resiliency, Inc.
EMS for Children is a specialty care program and a subdivision of the EMS Systems Division at the EMS Authority. The goal of the EMSC Program is to ensure that acutely ill and injured children have access to high quality, coordinated, and comprehensive emergency and critical care services appropriate for the special need of children. The EMSC model provides a continuum of care beginning with the detection of sick or injured children and transport to the appropriate emergency department through rehabilitation. 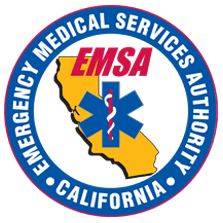 The EMSC program coordinator at the EMS Authority provides technical assistance to the local EMS agencies in the integration of EMSC into their local EMS system. The technical assistance by EMS Authority includes an emphasis on quality of care, continuity of care, family-centered care, cultural diversity, care for children with special needs, and rehabilitation.